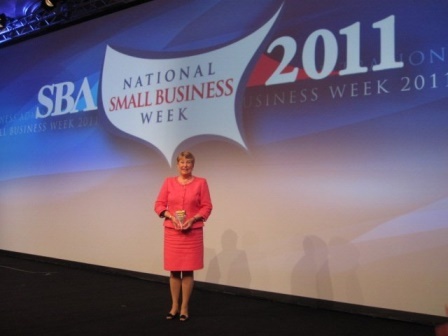 Virginia Williams was awarded the SBA “Maryland Small Business Person of the Year” on Friday, May 20, 2011. 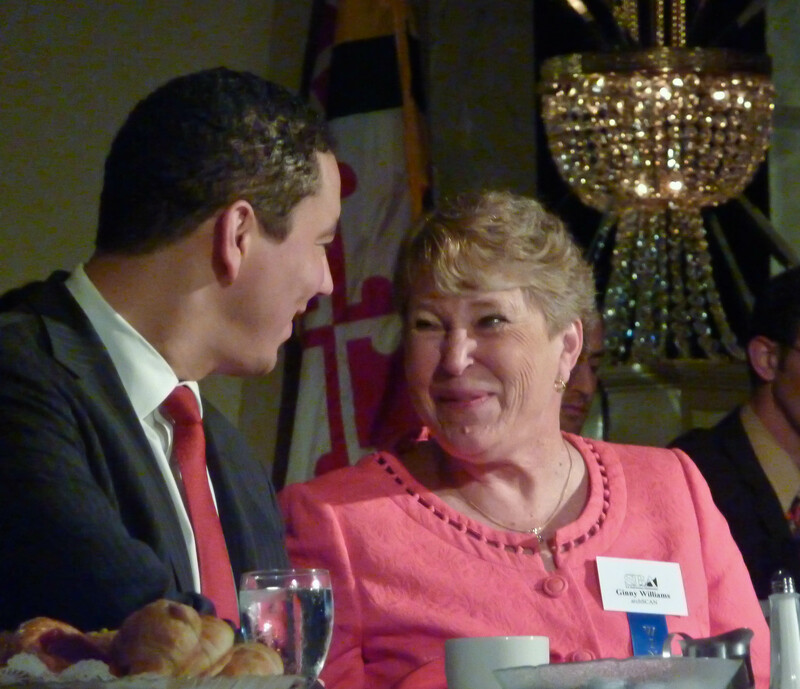 She was nominated by her SCORE Southern Maryland Chapter 390 Counselors. Her “archSCAN” company ( www.archscan.com ) organizes, indexes and converts paper drawings and blueprints to electronic files. Ms. Williams focuses on a specific niche market, offers a unique customer product, and provides both quality and a value which delights the customer. She has built an excellent business foundation by being creative, developing, and offering services that her customers recognize as being a true asset for their business environment. Ms. Williams has a specific targeted clientele which mainly consists of facility managers, vice president of operations, and anyone related to the construction industry. Many of the archSCAN projects are acquired through referrals and the company also has a good repetitive business. Her archSCAN team is very dedicated to the company, as well as making sure a superior end-product is delivered to the customer and exceeds the customer’s expectations. Each employee is cross-trained and fully understands each phase of the offered services. There is minimal employee turnover and new employees are being hired when necessary. Through Ms. Williams’ dedication, confidence, and understanding that archSCAN’s services are truly unique, and that these services may be utilized by educational, healthcare, religious, state and federal agencies; plus, the architects, engineers and construction companies has equated to continued growth with very limited competition. archSCAN anticipates continuing its growth and expansion path, and predicts an aggressive growth forecast for the future. In April 2002 Virginia Williams was terminated from her Regional Sales Manager position with a reprographic (blueprinting) company and shortly thereafter the Archdiocese of Baltimore, Facilities Division, contacted her requesting she assist them with their chaotic large format paper drawings plan room. After she spent a few months sorting, organizing, and labeling all the paper drawings in this room she sent the drawings to a scanning company to convert the paper into an electronic format. At the end of project twelve CDs were delivered to the Archdiocese of Baltimore. It was during this time Ms. Williams realized there were probably other organizations, businesses, etc. that were encountering the same dilemma with their paper large format drawings. She decided at that time to start her company, archSCAN, LLC, with the name being generated by combining the words archival and scanning. Since Ms. Williams did not really know exactly how to run a company she contacted SCORE Chapter 390 in Annapolis, MD in early 2003, and met with a SCORE counselor several times who guided her through all the aspects of starting a business ranging from writing a business plan through the financial details. Since her initial contact with SCORE Chapter 390 her counselors have changed during the years but she has always expressed how fortunate she has been to have an opportunity to utilize the guidance offered by this outstanding organization. Ms. Williams also applied for her State of Maryland MDOT certification and was granted this certification as small, women-owned business, and she has received her certification from the City of Baltimore too. Ms. Williams’ main goal is to enter a disorganized plan room containing thousands of paper large format drawings and small format documents all relating to a building, or buildings, and transitioning this documentation into an electronic user-friendly end-product. At the completion of a project the customer will be delivered their data on CDs, DVDs, or external hard drives. All the information can easily be viewed on any computer screen and will provide access to all the electronic data within seconds, and readily available if, and when, an emergency or catastrophe occurs. The documents are generally scanned into an Adobe Acrobat PDF “read only” format, which creates an unaltered digital archival record. A database is structured in a file folder format and utilizes Adobe Acrobat’s book marks tools for additional layering and more rapid accessibility. Ms. Williams has determined that a PDF may be used and viewed from any remote location using the Adobe Acrobat Reader, a free service available through the Internet. She understands that if a customer wants to import the data archSCAN has created into a specific document management system it can generally be downloaded without any problem. Ms. Williams’ main objective is to keep the final end-product simplistic and user-friendly for all levels of computer skills. 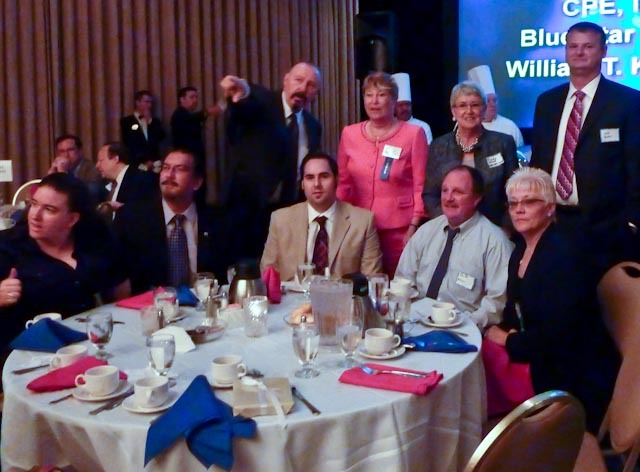 archSCAN, LLC officially began in August 2002 in Virginia Williams’ home in Annapolis, MD, and she was the only employee. Today 10 employees work for archSCAN and since the company’s beginnings it has expanded into over a 4,500 square feet production facility where all the scanning and computer services are completed. In 2009, Ms. Williams’ efforts and diligence has started showing since a 69% gross sales increase occurred, and a constant steady increase is continuing in 2010. As the future approaches, and with archSCAN’s solid customer commitments, she hopes this will pave the way to exceeding $1,000,000 gross sales goal in 2011. The archSCAN customer base is varied and ranges from large government agencies (Smithsonian Institution), educational facilities (American University), many hospitals (Johns Hopkins Medicine Bayview Campus), to small private corporations. Ms. Williams has been very conscientious about not expanding too rapidly and taken cautious small steps not to over-extend archSCAN’s capabilities. She feels the customer is placing their trust and confidence in archSCAN’s services, and she wants them to recognize they have received an extremely beneficial and useful tool.